Come to The MAC and learn to make a ceramic bowl! 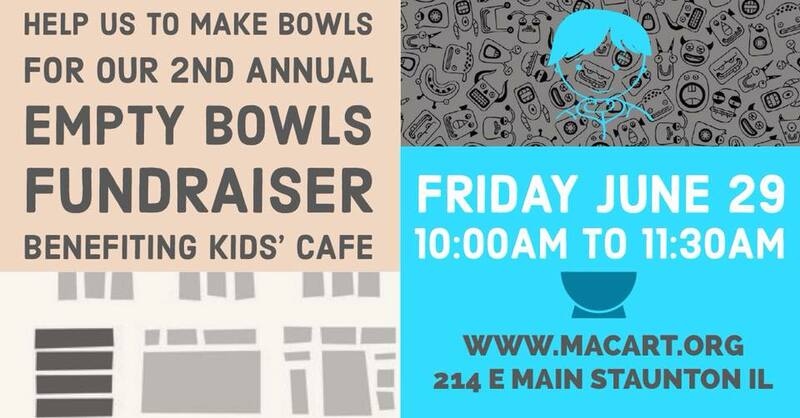 Bowls will be sold at our second annual Empty Bowls fundraiser, benefitting Kids Cafe!! This is a free event for the community! The more bowls we can make, the more money we can make for the kids! Please show up at 10:00 AM! You will need the whole hour-and-a-half to create a bowl! And please bring a can or two of food with you to this event to donate to Kids Cafe! !